How was your 4th of July weekend? Did you spend it by the water or see a fun fireworks show? I actually went camping with the dogs and some friends. I also realized that camping is not my thing unless, of course, it's done inside a cabin with plush bathrooms and soft pillows. But campfires are cool though. 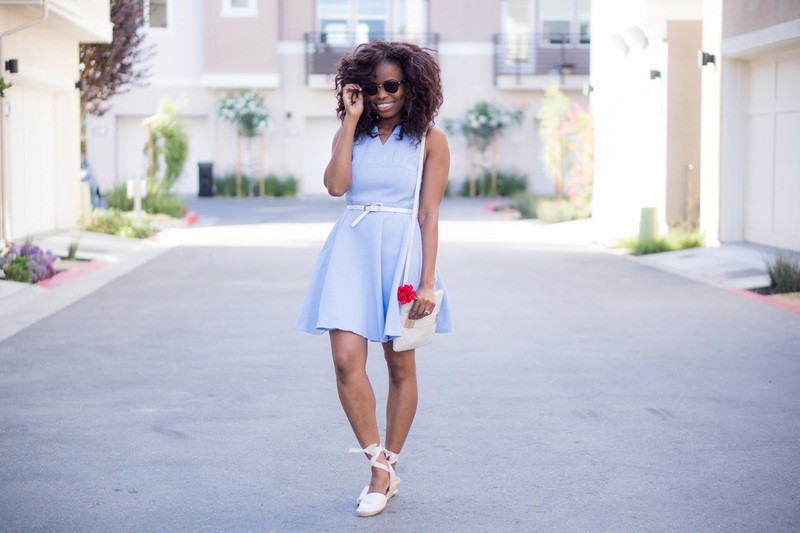 My 4th of July red, white and blue (periwinkle) outfit features this fun Alisa Pan dress by Ever-Pretty. Their clothing is all about bringing timeless pieces to the fashion world, and you really can't go wrong with a party dress. I took one of these pretty red flowers from my bouquet because for some reason, I don't own any red accessories -- isn't that odd? Anyway, enjoy your week, pretty ladies! what a cute dress and it fits you perfectly. Also love your mani. I love your love your look and the camping thing is just not for everyone. I figured that it is not for me for years now. This color is gorgeous!!! You look great Cheryl! Pretty is right!! Gorgeous color on you! Hey pretty lady! I love your festive look and your patriotic nails! Hope you enjoyed your holiday weekend! what a pretty dress and totally love the purse and shoes! What a cute dress! I love your nails! I love this look on you. I am sure you will get carded in this dress, it is so girly. Enjoy! The bag and shoes are an awesome pair! LOVE! Positively in love with the color of this dress - it's just too pretty! 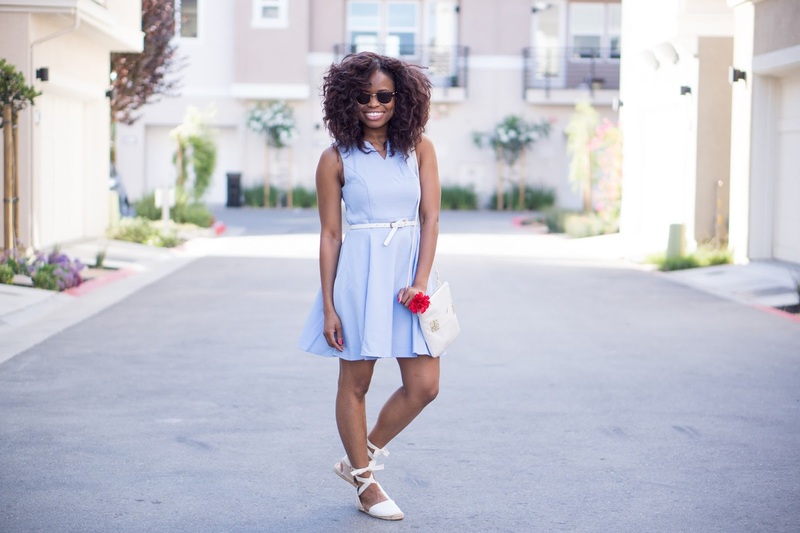 You look fab in Periwinkle! You are looking super cool in that beautiful outfit!! I'm glad you had a good 4th! Camping is SO not my thing either. I worked for part of the day and then had a BBQ with family and did fireworks afterwards. My brother-in-law also proposed to his girlfriend, so that was super exciting! Such a pretty dress & a great color on you! What a great chic look! Love the easy going vibe and the youthful feeling! Great style!